We studied about coordinate axes, coordinate plane, plotting of points in a plane, distance between two points, section formula, etc. All these concepts are the basics of coordinate geometry. Let us have a brief recall of coordinate geometry done in earlier classes. To recapitulate, the location of the points (6, – 4) and (3, 0) in the X-plane is shown in (Fig 10.1). We may note that the point (6, – 4) is at 6 units distance from the y -axis measured along the positive x -axis and at 4 units distance from the X –axis measured along the negative Y-axis. 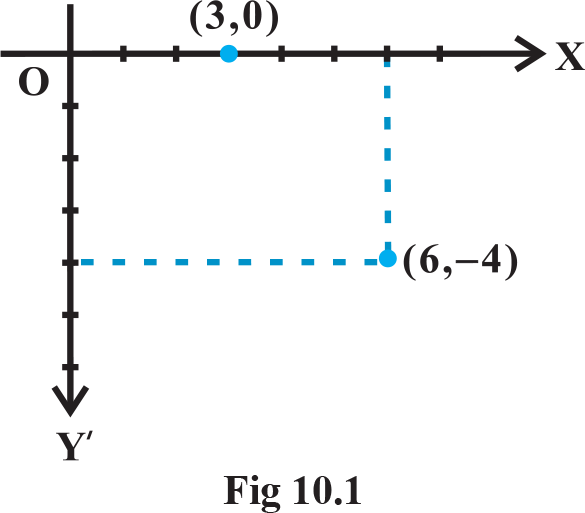 Similarly, the point (3, 0) is at 3 units distance from the Y –axis measured along the positive X -axis and has zero distance from the X -axis. We also studied. Note : If the area of the triangle ABC is zero , then three point A,B and C lie on a line , i.e ,they are collinear . We shall continue the study of coordinate geometry to study properties of the simplest geometry figure –straight line. Despite its simplicity , the line is a virtual concept of geometry. and enters into our daily experience in numerous interesting and useful ways. Main focus is on representing ,the slope is most essential. 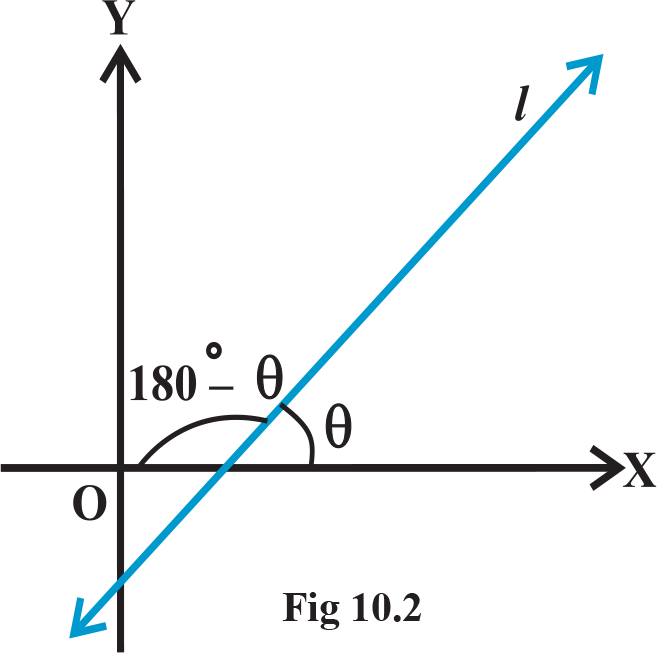 Θ made by the line l with positive direction of x -axis and measured anti clockwise is called the inclination of the line. Obviously 0° ≤ θ ≤ 180° (Fig 10.2) . Definition: If θ is the inclination of a line l , then tan θ is called the slope or gradient of the line l . The slope of a line those inclination is 90° is not defined. The slope of a line is denoted by m . Thus, m = tan θ, θ ≠ 90° It may be observed that the slope of x -axis is zero and slope of y -axis is not defined.